Respite care is short-term care, away from your home, to give the person caring for you a break. 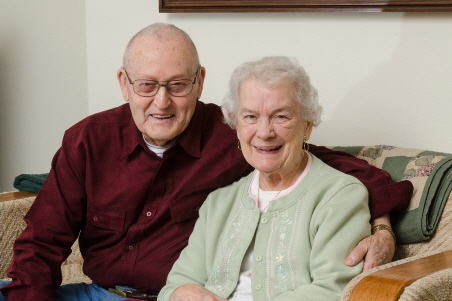 Using respite care can help you stay in your home for longer, rather than having to go into long-term care. There's now a new, easy way to book respite care online. Depending on how many days you are eligible for, the break can be for just a few days, or up to 28 days. It is available for older adults who usually have someone looking after them in their own home. If you are eligible, you will receive a certain number of respite care days, which you can use during the year. You won't have to pay for this care – Canterbury DHB will pay for it. Who is eligible for respite care? To receive publicly funded respite care, you need to be assessed by a member of Canterbury DHB's Older Persons Health and Rehabilitation. Speak to your GP about arranging an assessment for you. regularly review your situation and your need for respite care. How can I use my planned respite care days? You will be able to choose to stay at a respite care facility that has a contract with Canterbury DHB to provide respite care. Depending on how many days your are eligible for, you may wish to divide your time into two shorter breaks. How do I book my respite care? It's easy to book online, as long as you have an email address. First, have your respite allocation letter ready, as you will need some of the information on it. Visit www.eldernet.co.nz/respite and follow the simple instructions, to see what suitable vacancies are available and request a booking. Once you have completed the booking, ask for an email confirming all the details. Again, you need to have your respite allocation letter ready. Then phone an approved residential care facility to check if they have suitable care available at the time you want it. Once the facility makes the booking, it will confirm your booking in writing. If your chosen facility doesn't have a vacancy, phone Older Persons Health and Rehabilitation on (03) 337‑7765 and ask for help. Written by Older Persons Health and Rehabilitation (OPH&R), Canterbury DHB. Adapted by HealthInfo clinical advisers. Page created May 2015.